theIndusparent have partnered with Holiday Inn® to inspire your next family adventure. 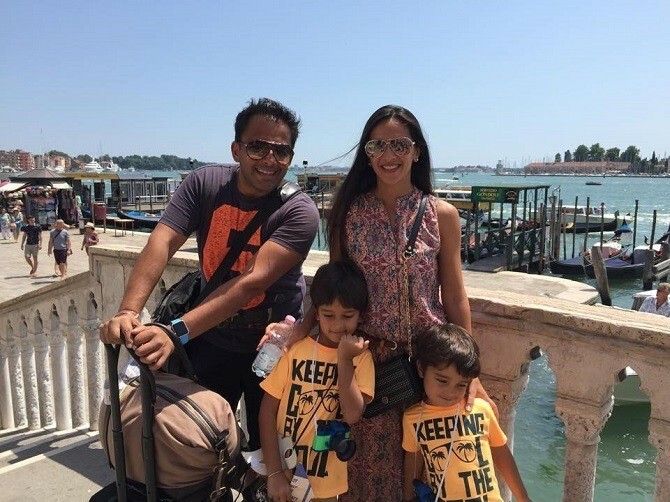 Let’s learn from celeb mum Tara Sharma about planning a holiday with kids! Travel is a wonderful experience in every way. It teaches you a lot about life, people and places that you visit. It turns the world into a classroom for your kids, exposing them to incredible details about things they would never learn in school. 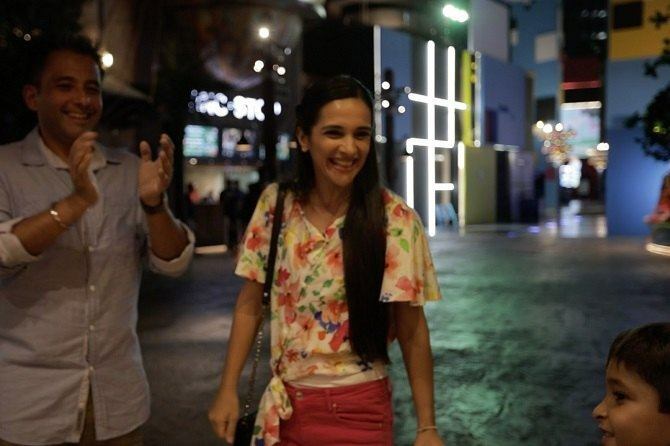 Bollywood star and celebrity mum Tara Sharma knows this. 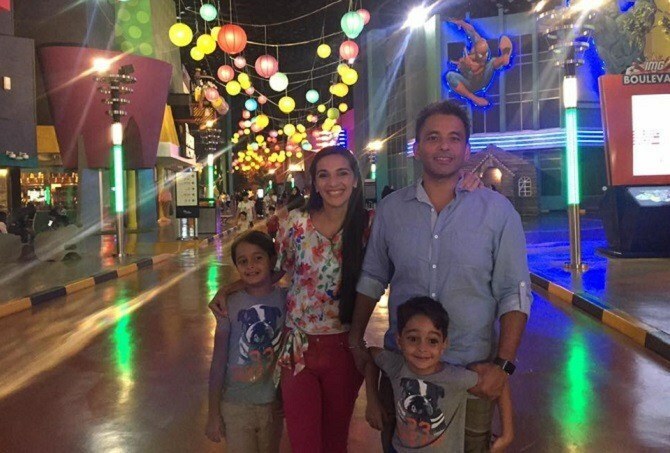 This gorgeous mummy of two loves to travel with her family, and believes that holidays are a great way of giving children an all-round education and broadening their horizons. When it comes to planning a holiday with kids, Tara explains that there is an art to it. You can mix fun and learning during a holiday but for that to happen, don’t focus overtly on the learning part, she says. Instead, concentrate on having loads of fun and developing family bonding. Learning happens on its own during the process of travelling. 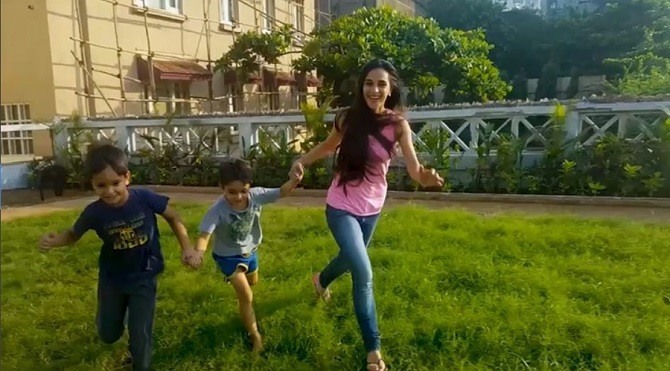 Tara shows you exactly how to have a holiday with kids that combines both entertainment and learning, in a video that you can watch at the end of this article. But first, some very important information about planning a vacation with your tiny travellers and Tara's top tips about how to get the most out of your holiday with the kids. Planning and choosing a holiday destination is not always easy. There are so many factors at work. For Tara’s family, choosing where to go is a combined decision. However, the overriding factor is practicality. “The first one is practicality: what is affordable, what fits into the time frame, and distance (can’t really go to Alaska for two days),” she says. “Having said that, also the choice of the family members (matters) ...if it is somewhere that can be chosen.” For example, if you are travelling with your older parents as well as the kids, some destinations may be unsuitable for a multi-generation holiday. Similarly, choosing a hotel depends on factors such as budget, location, space, and availability, explains Tara. But when travelling with little ones, the most important consideration is probably how family-friendly the hotel is. Tara’s advice is to consider all these options and select what seems best within parameters that work for all of you as a family. 2. Family holidays must be fun! Tara thinks that parents can mix fun and learning while travelling but they should not make it all about education. Mixing learning with fun during holidays should not turn the vacation into a boring chore, she says. “Holidays should excite children, and the learning aspect should not make the whole experience academic,” Tara explains. “Learning - you need not say the word. It just happens,” she says. Tara remembers an episode from their Dubai trip that showcases this. The kids were out trying sand surfing and the heat was intense but they were having so much fun that they hardly cared about it. The learning component was seamlessly woven into the enjoyment, as while they were playing, the kids asked Tara why it was so hot, and they also noticed the sudden shift in temperature as the sun set. They then discussed how a desert is formed and why the temperature in Dubai is so high. Learning is an important aspect of travelling but equally significant is the aspect of responsibility it imparts on children. In fact, kids can learn to be responsible right from the time a holiday is planned. Tara suggests that you should encourage your kids to participate in the vacation planning process. For example, while preparing for a recent trip, she asked her kids to choose the seating arrangement on the flight. “They were quite clear on who wanted what. Who will have the window seat and who will have the same on the way back,” she remembers with a laugh. This is a good example of how parents can teach children responsibility, as well as give them the chance to negotiate and make decisions simply through the act of planning a holiday with kids. When kids get older, they can do even more higher level planning for attractions to visit, she recommends. “After all, everyone wants to do something different,” says Tara. How do you record your family travels? How about keeping a travel journal for your kids? According to Tara, keeping a video diary while travelling is a wonderful thing! “My show began as a video diary of a mum. It started 7 years ago. We did a lot of travelling with the kids and it was my diary,” she explains. Her kids, Zen and Kai, often go back to their travel photos and videos and relive the experience they enjoyed. “It is a nice way of remembering,” says Tara. Don’t cram your holiday with an excessive to-do list of places to see or activities to do; it may tire out your kids, so take it easy. “When you have young kids, of course, try to teach them things or show them things but don’t oversaturate kids with too much academia”, says Tara. Sometimes, just seeing five paintings in a meaningful way can have more of an impact on your child than rushing through five museums, she explains, and we couldn’t agree with her more. You never know how your kids are going to surprise you. Perhaps you will discover new, adorable aspects of their personalities during a holiday. For example, Tara found out that her kids love hotel bathtubs (even though they have a tub at home!). This shows that kids will take pleasure in things that you may not even notice and travel could be the perfect opportunity for these cute traits to be showcased. Stick to your kid’s normal routine as much as possible even during holidays. For example, they should go to bed as per their normal time. You can make some exceptions once in a while but remember, if your child is too young, too much exertion can affect their health. Also, choose hotels that have safe environments and are kid-friendly. Holiday Inn® is a good example. A family holiday is for the entire family: mum, dad and the kids. Tara believes that everyone should have a good time, not just the little ones, and you should communicate this to them before you head off on your holiday. “Have some time for yourself too; let your kids know that it’s holiday time for you too,” she advises. Tara adds that there is no point in being only kid-focused when travelling and not doing anything you like as adults. When this happens and you get back home, you will probably feel like you need another holiday (without the kids) to recover! Don’t feel pressurised by the Jones’ next door to travel to glitzy destinations many times a year! Do what you can afford, and what suits your family budget. It does not matter where you are going – whether this is Mahabaleshwar (an Indian hill station south of Mumbai), the beach next door or a fancy foreign destination, the structure or distance of the trip does not matter. What matters is the family bonding, Tara says. You can never plan enough when holidaying with kids! Give yourself plenty of time to thoroughly research your destination before you head there, while focusing a lot on how family-friendly it is. Tara used many online resources in her planning process, and one that was especially helpful to her was the Little Big Travellers website. She found it visually appealing and easy to navigate through. It is also a great place to find unusual, yet kid-friendly attractions to see or experience. For example, the sand-surfing experience that was the highlight of Tara’s Dubai trip was an idea she got from this website. With these fabulous tips, planning a fun and learn holiday anywhere in the world is not that difficult. As long as you remember that holidaying is for fun and family bonding, everything else will fall right into place! 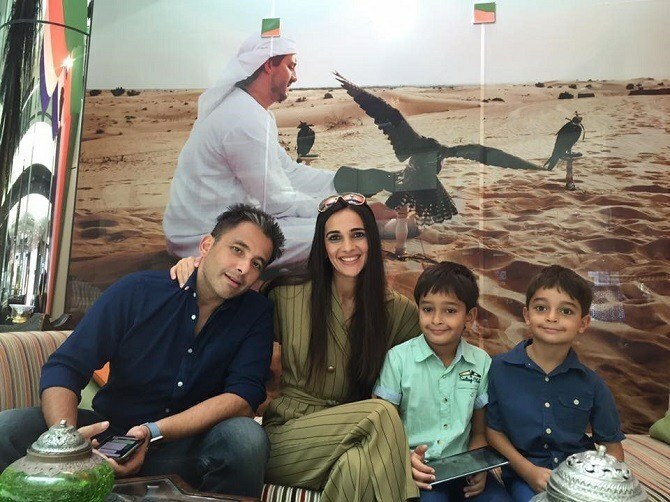 WATCH: Tara Sharma and her family's amazing vacation in Dubai! This article was brought to you by Holiday Inn®. Explore Dubai for more unique experiences to have with your kids at www.LittleBigTravellers.com. At Holiday Inn®, kids 12 and under stay and eat for free! Discover the Joy of Travel with us today. Best places that serve haleem in India! A must check out!